How refreshing. 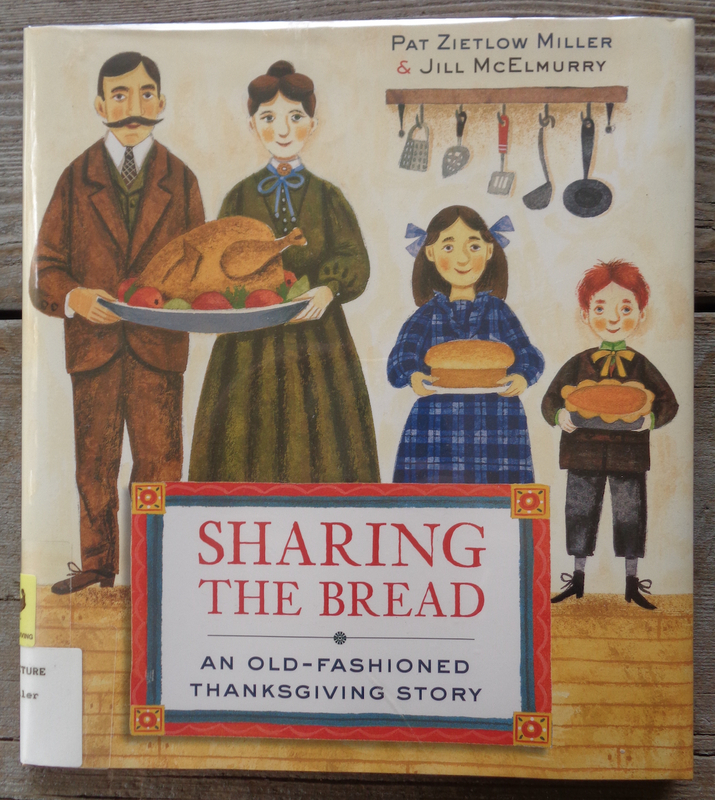 I like old-fashioned and the fact that everyone pitches in to “break bread together”. Also enjoyed the illustrations. Nice choice for the upcoming holidays. Perfect for Thanksgiving coming up!! 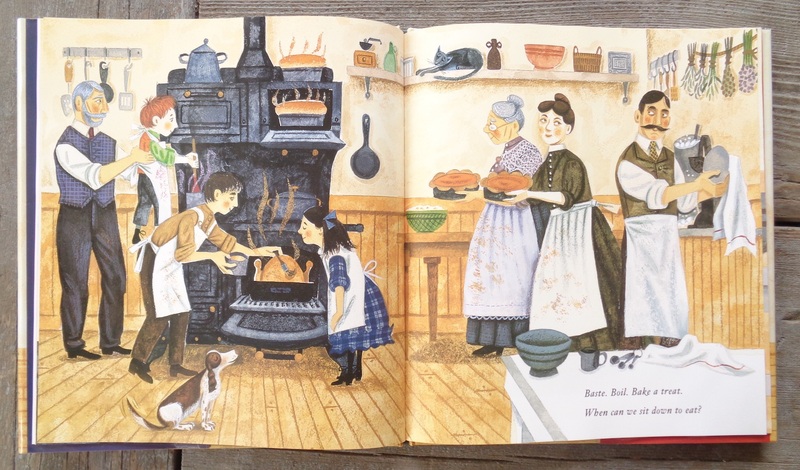 The illos also remind me a little of Lois Lensky’s work in the Betsy-Tacy book series. Terrific pic for the upcoming holiday! I loved this book from the moment I opened it to page one. I bought it, and plan on sharing it with my family this Thanksgiving. Bet they will love it too! I saw this at the library the other day! It looks so inviting. I’ll have to get it the next time I’m there. Sometimes I visit the library twice in a day! Enjoy! Ha! I was just reading Pat’s interview regarding this book on PW. Super choice and a great example of leaving room for the illustrator. I’ll search for it and add to the post – thanks, Joanne! 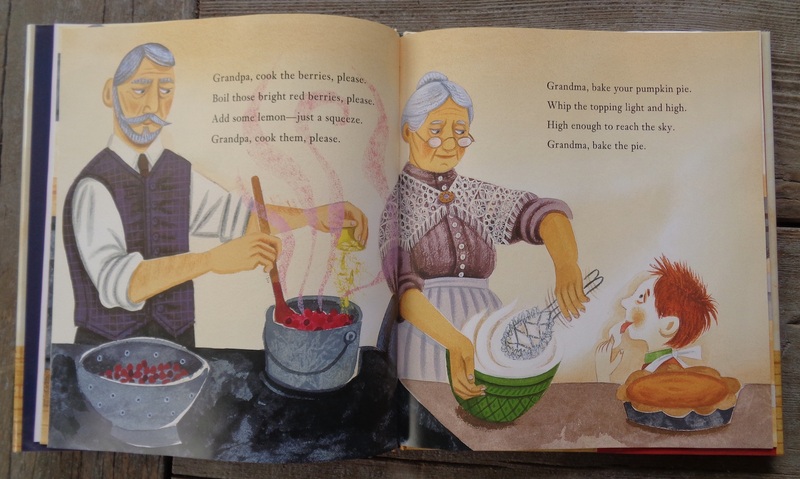 I didn’t know this is like primitive folk art, but I love these illustrations. So happy that Pat’s new book is getting so much love. Julie, I’m thrilled that you reviewed this book. I’ve heard so many wonderful things about it. And with Thanksgiving in two weeks, your review couldn’t be more timely. Terrific illustrations. 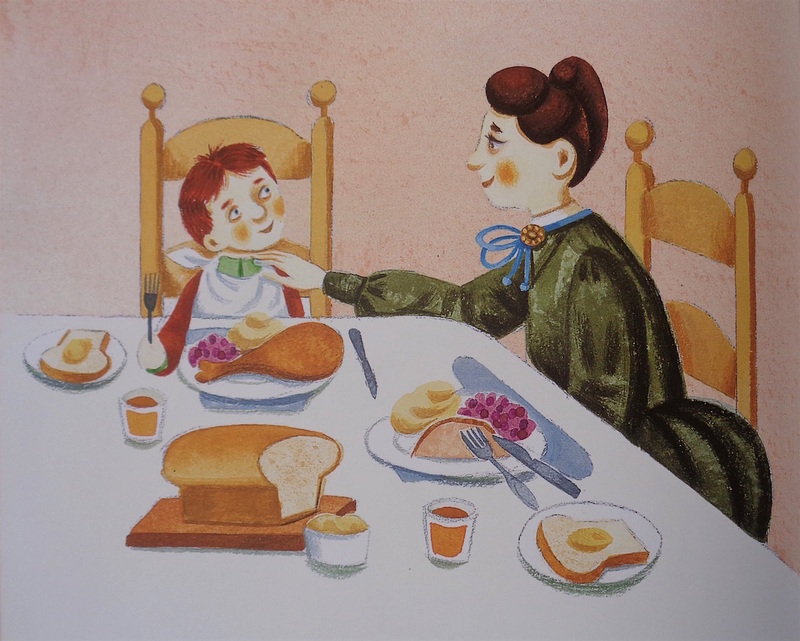 Not many Thanksgiving Day picture books. This one looks wonderful.